To drive in the big, material design-friendly changes visible on LastPass 4.0 for desktops, a reader has shared this screenshot. LastPass has received its first major point release since LogMeIn opened its wallet, and it comes over two years since the last one. In November of 2013, LastPass jumped to version 3.0 with a redesign that made it Holo-friendly. Having gone Material back in April for 3.4, the 4.0 update introduces more than a design refresh (though a bit of that is here too). 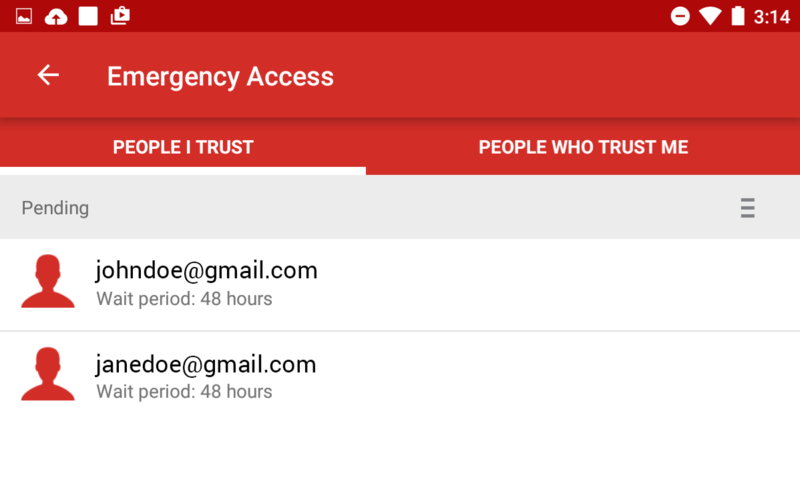 There are two headlining new features of LastPass 4.0. One is the option to grant another person access to your account during emergencies. Ideally this will be a family member, friend, or someone else you're certain you can absolutely trust. You will be handing over the keys to your online kingdom, but only after your contact requests access and the optional wait period (set by you) elapses. You're free to decline this request at any point during that time, showing that your hands still work and/or your mind is lucid enough to handle the situation. The second highlight also concerns sharing passwords. Version 4.0's new sharing center provides an alternative way to shoot someone a password other than firing off an unencrypted text or storing your code in a sea of Hangouts history (another option would be scribbling the passphrase on a piece of paper in the background of the kind of picture you would send on Snapchat). Two LastPass users sharing the same account have the option to keep the login information in sync. As for changes to the look and feel, you will find tweaks to the password vault, desktop browser extension menus, and the online web vault. LastPass has made other adjustments to simplify the experience, detailed in the press release below. We've spotted another change in Lastpass 4.0 for Android - the browser fill (at least in Chrome) now works without any extra popups and having to press Enter on the keyboard. The app fill just populates fields in Chrome the same way it does in other apps. At last! FAIRFAX, VA – January 5, 2015 – Today LastPass debuts LastPass 4.0, the latest version of its market-leading password manager. The release includes a polished and intuitive new UX, and a host of new features that further raise the bar on secure, simple password management for individuals, teams and companies. The new LastPass 4.0 is immediately available on all browsers and platforms, including the browser extensions for Chrome, Firefox, Safari, Internet Explorer and Opera on Windows, Mac, and Linux. 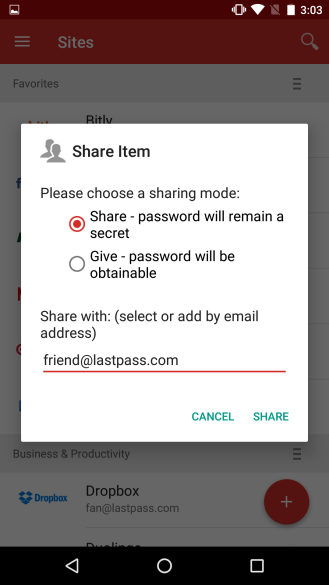 The new additions and improvements will also be available immediately to new versions of the LastPass mobile apps on Android and iOS. The LastPass 4.0 version features a new, elegant look and feel across virtually the entire product. The redesigned password vault, browser extension menus, and web vault at LastPass.com feature large website icons, simpler navigation, and bolder colors. A toggle option will give existing users the ability to switch between the previous interface and new 4.0 design for the next several months. colleagues to have access to their password vault in the case of an emergency. For added security, a user can require a waiting period between when an Emergency Access contact can request access to the vault and when access is granted. 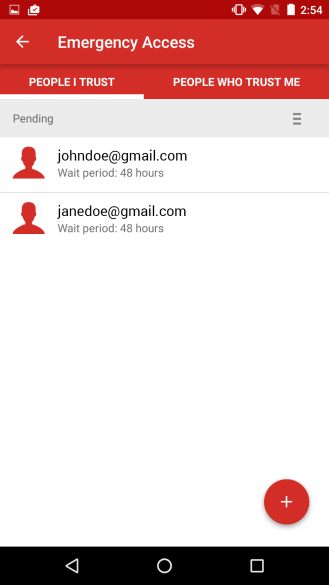 During the waiting period, users can decline an Emergency Access request to their vault. The concept of shared access to online accounts is not new, but despite the risks, many consumers still share passwords insecurely via texting, emailing, or writing passwords down in public spaces. The new LastPass Sharing Center is one central location that allows users to easily manage and share passwords in a secure, encrypted way. Whether partners need to share logins for the mortgage and paying bills, or aging parents need to share important logins with their family, the Sharing Center keeps the passwords in sync for everyone. Users can manage who has access to shared accounts and have the option to remove access at any point. LastPass 4.0 is available immediately to all new and existing users. LastPass Free: New users can get started on a personal computer, smartphone, or tablet. Includes a full-featured password manager, with unlimited password storage, automated password saving & filling, password generator, secure notes, shopping profiles, password sharing, and two-factor authentication for added security. LastPass Premium ($12/year): Boost productivity with unlimited sync to unlimited devices, sync shared passwords with a Shared Family Folder, plus Premium two-factor. LastPass Enterprise (starting at $24/user/year): Trusted by over 18,000 companies of all sizes to provide Identity and Access Management, combining Single Sign-On for cloud apps and secure password vaulting. Centralized oversight, automated management, and safe password sharing provide the security IT needs and the convenience users expect. To find the latest versions of LastPass and for more information on the new updates, visit https://lastpass.com/.